There is nothing special about Bitcoin that another Cryptocurrency can’t replicate and improve on, and the proof for this is a new digital currency, Bitcoin Cash. The Bitcoin split on August 1 over a dispute for implementing a crucial technical milestone like SegWit (Segregated Witness ) resulting that minor core developers creating Bitcoin Cash, but fasten your seat belts and be prepared that bitcoin could possibly split again in November 2017 due to scheduled implementation of the second stage of the upgrade proposal for increasing the block size to 2MB and continue to work on SegWit2x. On the other hand there are bitcoin developers who remain adamant in opposition to SegWit2X. November could get as dramatic for Bitcoin as August, and as we get closer to that moment we have to be prepared for maybe new digital currency like Bitcoin X, and the prices expected to get more volatile. 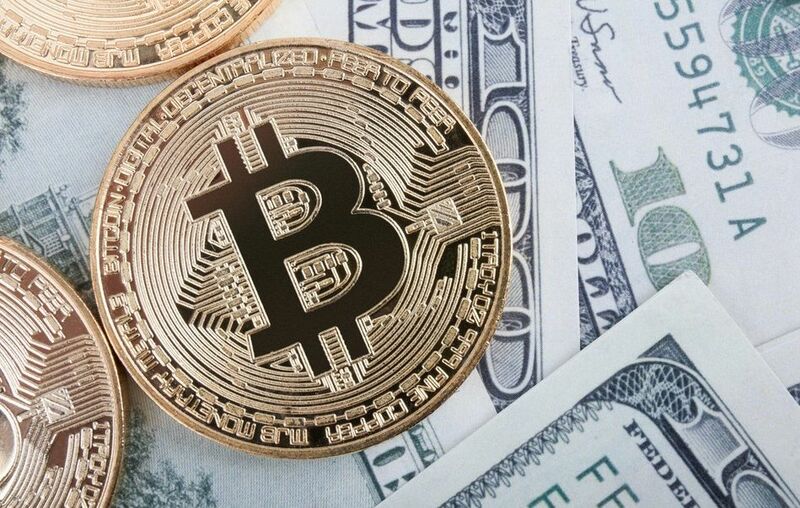 Bitcoin Cash began climbing late last week on Wednesday, August 17 after a breakout news that digital Currency “Miners” mined an eight megabyte Bitcoin Cash block. That demonstrates that Bitcoin Cash could fulfill its promise of faster transactions which is determined by block size. Bitcoin Cash is now much more profitable to mine than the original Bitcoin. And the fact is that digital currency miners often switch their mining power among different currencies depending on their relative profitability. According to Coin Market, Bitcoin Cash 24-hour trade volume of nearly $4.4 Bill topped Bitcoins $3.4Bill and Ethereum $918 Mil. South Korean Exchanges Bithumb, Coinone and Korbit dominate trade activity by about 45% of total trade. 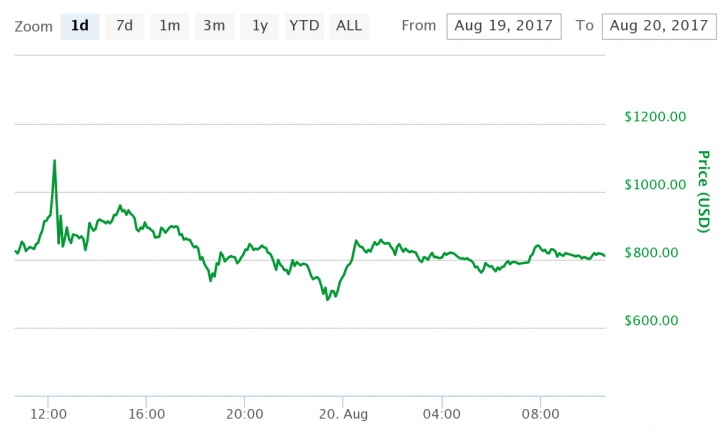 The original Bitcoin traded lower about $4,133 after hitting a record high of $4.522,13 on Thursday, according to CoinDesk. Bitcoin cash drops and momentarily stabilizes at $800 after a record high of above $1000. 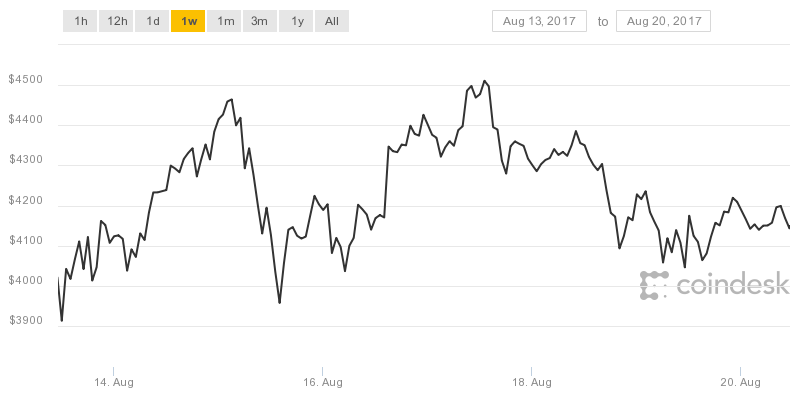 A breakout on August 17 saw enthusiastic and speculative trading, in South Korea exchanges in particular, resulting in previously unseen heights for digital currencies. $5,000 Bitcoin? Or $50,000 Bitcoin? To Buy Or Not To Buy! – For more Cryptocurrency market related Updates and News Follow us on our Facebook and Twitter pages. Is an economist, 30 years experience on Non-Ferrous Metal Trading and Real Estate Development. Lately shown interest in the field of Cryptocurrency.